Adding value doesn't always mean investing in expensive renovations. There are plenty of cheap ways to make your home sell for more. We're not just talking about running a vacuum around the house. Spring cleaning means a full sort out of your things. De-cluttering your home makes it instantly more spacious, and if you manage to sell off unwanted objects through internet auction sites, online sellers like Music Magpie or Zapper, or simply at an old fashioned car boot, you can build a war chest to fund even more improvements. Upcycling is the latest thing in interior design, and it all boils down to creatively reusing your furniture, fittings and even old glass bottles. Essentially, it means giving a new lease of life to all those things you can't bear to throw away. For example, tired, old brown furniture is often sanded down and painted with light or bright colours to fit with modern interiors; and recycled bottles make surprisingly stylish lampshades. For more upcycling inspiration, visit DIY Network or Upcycle That. A fresh coat of paint can make a world of difference to a room. The go-to colour scheme when taking a house to market is neutral and bright: not clean whites, but plenty of off-white colours and sensitive lighting to make your rooms seem spacious and clean. 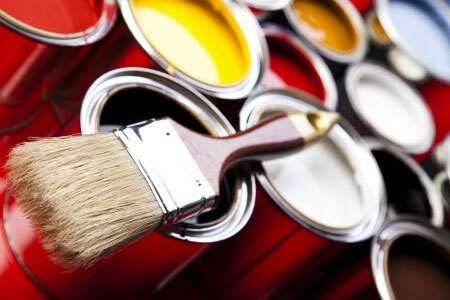 Of course, colours can do more than present a blank canvas for potential buyers. Play to your property's best features with warm and cosy or cool and fresh colours. Remember that small additions like wall stickers, lamp shades and curtains can really bring out the character in your home. And if you have a den, spare room or attic space, consider making it look like a more desirable extra like a nursery or study. If you want to make sure you don't get carried away by your creativity, use our free budgeting software to calculate how much money you have, and where best to spend it. This one's not about more colour changes - it's about investing in energy saving features. A survey by the Energy Saving Trust found that 53% of householders were willing to pay extra for a home with green features. Better still, the cost of improvements has never been cheaper. Roof and loft installation can be installed for £395, and you could even be able to cover a big chunk of that through the government's Green Deal. If you're already well insulated, there are plenty of other reasonably-priced enhancements from boiler replacements to smart technology to control your heating. If you're not sure where to turn, the government's EPC Adviser can help you get started. Most people remember to tidy their houses, but making sure your topiary's trimmed and the trees aren't overgrown is as important as de-cluttering your lounge if you want to show off a spacious property. Similarly, adding a splash of colour brings personality. Make sure those beds are blooming, and pepper your patio with plants and pots. Selling in winter? Invest in evergreens like holly. Lastly, make the most of garden furniture to show off your outdoor space. Whether you create a socialising barbecue feel, a children's play area or a place to be alone with your thoughts: sell that area.